Did you know you are able to provide feedback to the Surgery in a number of different ways? .....click here to find out! Each GP surgery is provided with a page on the NHS choices website and patients are able to provide positive and constructive reviews with a star rating. The Care Quality Commission is responsible for monitoring the standards of hospitals, dentists, care homes and care services. As from April 2013 they will also be responsible for monitoring the standards of GP surgeries. The practice, along with all other GP surgeries has registered with the Care Quality Commission (CQC). There are 16 "Essential Standards" which the CQC use to assess the service which relates directly to the provision of care. There are a further 12 standards which relate to the day-to-day running of the service. The CQC will routinely monitor the service we provide, carry out inspections and write reports based on their findings. We are currently awaiting to receive our first inspection and as you would expect, a lot of work is going on behind the scenes in preparation for this. Talk to patients as service users and ask about their experiences of receiving care. Talk to practice staff to ensure they are properly recruited, trained and are capable of delivering a high level of service or patient care. Check that we have the correct systems, processes & policies in place, and more importantly that these policies are understood by our staff and are applied daily. Observe and comment on any areas needing further improvement or development. The process is completely transparent and findings are shared with the public. Please click here to download a report of a recent CQC inspection which took place at Widbrook Surgery, Trowbridge. Please click here to download the Bradford on avon & Melksham Health Partnership Intelligent monitoring Report. If you have any comments about the CQC process, please do not hesitate to contact Michelle Coleman, General Manager. To take part in any current patient surveys, please click here. 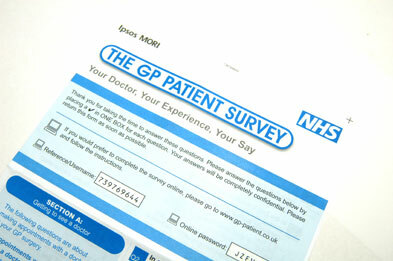 Every year (in January) a standard questionnaire is sent to patients direct to complete and return (via the post). This is an independent survey and one which the surgery is not directly involved in - however, the practice is keen to receive the results of the survey. An example of the survey can be found here, but you have to wait to be sent it before you are able to complete it. An example of the covering letter can be found here. If you receive a questionnaire please fill it in and send it back as soon as you can. It is really important that we hear your views, even if you have received a questionnaire like this before. Your response will help the us to improve the services we provide for our patients. The PPG is a group of patients and practice staff who meet at regular intervals to decide ways of making a positive contribution to the services and facilities offered by The Bradford on Avon & Melksham Health Partnership. For those patients who are unable to attend a Patient Participation Group Meeting, we have set up a virtual patient representation email group so that you can have your say, the 'Patient Voice'. Please click here to visit the PPG & Patient Voice pages of the website. In response to feedback received in the suggestion boxes in the waiting rooms, we felt it may be helpful to share with you some comments that had been received and our response. Please click here to view the document. Another way to provide feedback to the Practice is to fill out the online feedback form. Please click here to access the form. We try our best to provide the best standard of care at all times but we accept that sometimes patients or their relatives may feel a need to complain. If you would like to discuss your complaint with us, whether it relates to any of the services we provide or the individuals providing them, please telephone either Sarah Smith, st Damian's surgery Team Leader & Practice Complaint Officer (01225 898490) or Bridget Casey Practice Complaint Lead at The Health Centre, Bradford on Avon (01225 866611) who will be more than happy to help you through the process, which can include arranging a meeting to discuss things in person if preferred. For more information on Sarah and Bridget's role at the surgery, please click here. If you would benefit from independent assistance when dealing with your complaint, you may wish to gain support from an Advocate. For more information about this, please click here. If you have any specific issues to raise with providers we have attached the contact details for the appropriate PALS and Complaints teams at the various providers for your use where necessary.